Scholarship & Books - SONJA ARDOIN, PH.D. Check out Sonja's two single-authored books, The Strategic Guide to Shaping Your Student Affairs Career and College Aspirations and Access in Working-Class Rural Communities​, and her co-authored book, ​Straddling Class in the Academy, along with her contributions through book chapters and other publications below! Ardoin, S. & martinez, b. (2019). 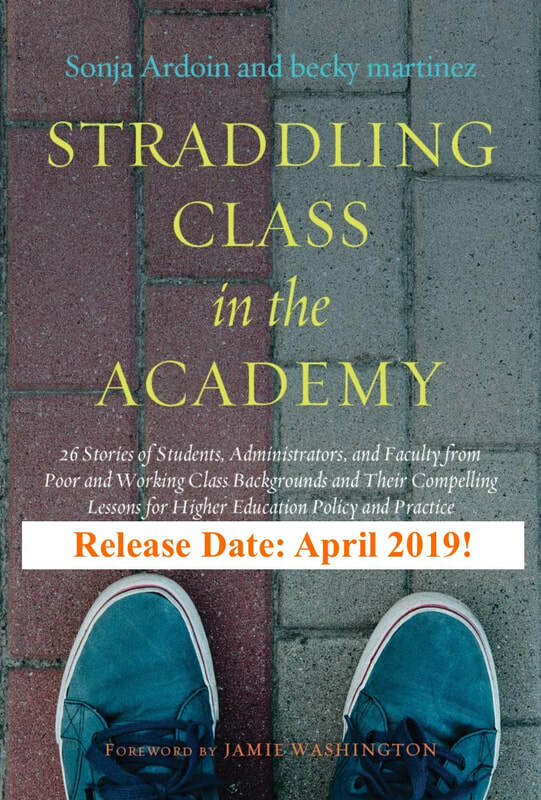 Straddling class in the academy: 26 stories of students, administrators, and faculty from poor and working class backgrounds and their compelling lessons for higher education policy and practice. Sterling, VA: Stylus Publishing. Ardoin, S. (2018). 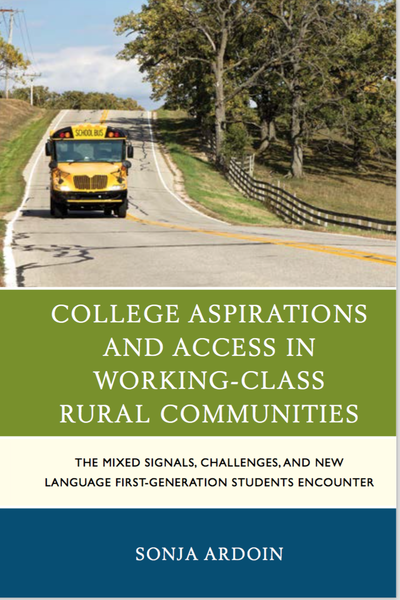 College aspirations and access in working-class, rural communities: The mixed signals, challenges, and new language first-generation students encounter. Lanham, MD: Lexington Books. Ardoin, S. & contributing writers. (2014). The strategic guide to shaping your student affairs career. Sterling, VA: Stylus Publishing. Ardoin, S., Garcia-Louis, C., & Means, D. (in preparation). First generation faculty: Champions in the academy. In M. B. Wallace (seeking contract), First generation professionals in higher education: Strategies for the world of work. Ardoin, S. & Erb, M. (in preparation). First generation graduate students. In D. J. Nguyen & C. Yao (under contract), A handbook for supporting today's graduate students. Sterling, VA: Stylus. ​Ardoin, S. (submitted). The nuances of first generation college students’ social class identity. In R. Longwell-Grice & H. Longwell-Grice (under contract), The intersection of first generation college students and race, class, gender, sexual orientation, and ability status: An edited volume. Washington, D.C.: NASPA. Ardoin, S. (submitted). It’s all a bunch of B.S. : How institutional jargon creates in-groups & out-groups in higher education, particularly for first generation college students. In R. Longwell-Grice & H. Longwell-Grice (under contract), The intersection of first generation college students and race, class, gender, sexual orientation, and ability status: An edited volume. Washington, D.C.: NASPA. Ardoin, S. (submitted). Country [and Cajun] come to town. In A. J. Rodríguez & S. Levin (under contract), Experiences from first generation college students. San Francisco, CA: Jossey-Bass. Ardoin, S. (accepted). The classed construct of student affairs work. In M. Sallee (under contract), Developing the whole professional: Rethinking student affairs work. Sterling, VA: Stylus. Ardoin, S., Clayton, A., Nguyen, D., & martinez, b. (accepted). How first-generation college students live with social class differences on campus. In J. C. Garvey, J. C. Harris, D. R. Means, R. J. Perez, & C. J. Porter (under contract), Case studies for student development theory: Advancing social justice & inclusion in higher education. New York, NY: Routledge. Ardoin, S. (accepted). The journey from #SAGrad to #SAPro. In K. Walker, D. Kniess, & T. Cawthon (under contract), New directions for student services: Managing career transitions across the life span for the student affairs practitioner. San Francisco, CA: Jossey-Bass. Ardoin, S. & Nguyen, D. (accepted). Social class and first generation college student status. In S. P. Gold (under contract), Instructional scenarios of multiple identities in higher education. Washington, DC: NASPA. Ardoin, S. (in press). What if there is no “right” answer? : Preparing for the “grey areas” of ethical decision-making. In K. L. Guthrie & D. M. Jenkins (Eds. 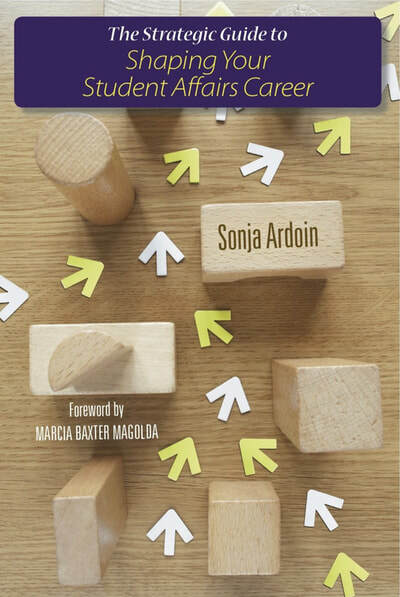 ), Transforming learning: Instructional and assessment strategies for leadership education. Charlotte, NC: Information Age Publishing. Ardoin, S. (2019). Social class influences on student learning. In P. Magolda, M. B. Baxter Magolda, & R. Carducci (Eds. 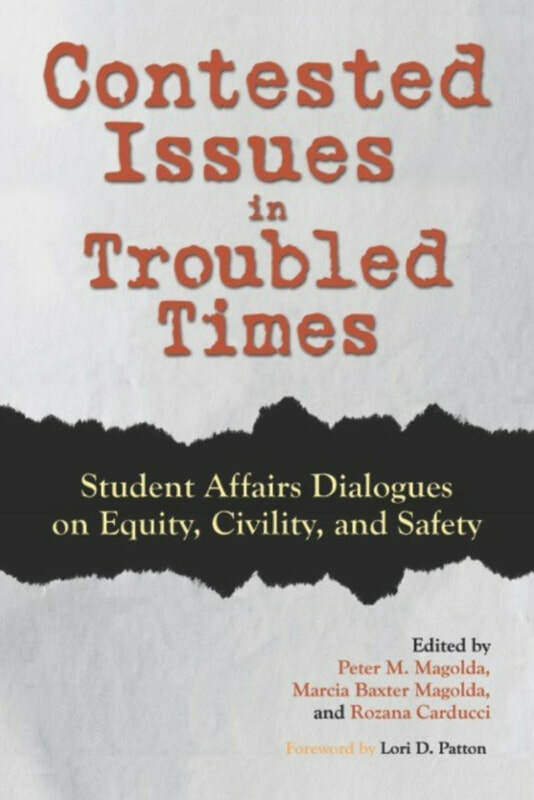 ), Contested issues in troubled times: Student affairs dialogues about equity, civility, and safety (pp. 203-214). Sterling, VA: Stylus Publishing. Ardoin, S. & martinez, b. (2018). No, I can’t meet you for an $8 coffee: How class shows up in workspaces. In B. Reece, V. Tran, E. DeVore, & G. Porcaro (Eds. 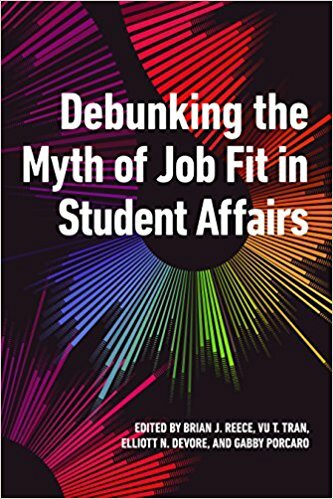 ), Debunking the myth of job fit in student affairs (pp. 97-117). Sterling, VA: Stylus Publishing. Ardoin, S. (2018). Social class identity influences on leadership opportunities and practices. In K. L. Guthrie & V.S. Chunoo (Eds. 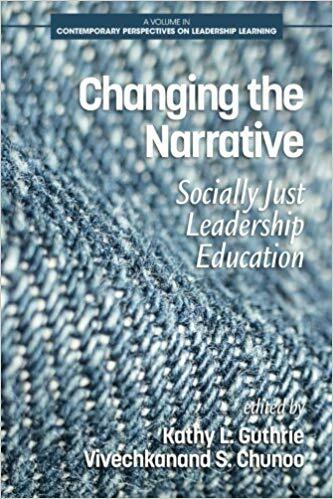 ), Changing the narrative: Socially just leadership education (pp. 59-76). Charlotte, NC: Information Age Publishing. Ardoin, S. (2018). Helping poor and working class students create their own sense of belonging. In G. Martin & B. Elkins (Eds. 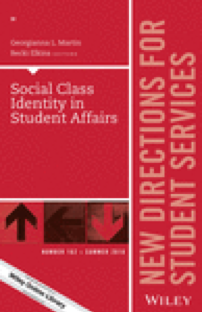 ), New directions for student services: Social class identity in student affairs (pp. 75-86). San Francisco, CA: Jossey-Bass. Ardoin, S. (2017). Charting one’s own theory of leadership. In J. Dugan, M.A. Torrez, N. Turman, A. Barnes, & Associates (Eds. 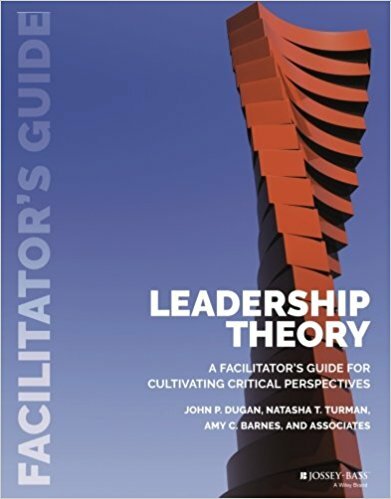 ), Leadership theory: A facilitator’s guide for cultivating critical perspectives (pp. 439-452). San Francisco, CA: Jossey-Bass. Ardoin, S., Crandall, R., & Shinn, S. (revise and resubmit). Senior student affairs officers’ perspectives on professional preparation in higher education and student affairs graduate programs. Journal of Student Affairs Research and Practice. ​Locke, L., Stier, M., & Ardoin, S. (revise and resubmit). “It was like gliding through”: Early college and college transition experiences of women from underrepresented and marginalized groups. The High School Journal. Locke, L., Broadhurst, C., Ardoin, S., & Johnson, J. (revise and resubmit). "Leading from the middle”: Exploring stories of women working for change in PK-12 Schools. Journal of School Leadership. Ardoin, S., Broadhurst, C., Locke, L., & Johnson, J. (accepted). Peacemakers and rabble rousers: Women leaders as activists in higher education. Journal of Women and Gender in Higher Education​. Ardoin, S. (2017). Priced out: Considerations for increasing low-income students’ ability to engage on campus and increase cultural and social capital. NASPA Knowledge Community Online National Conference Publication, 51-52. Retrieved from https://www.naspa.org/images/uploads/events/2017-naspa-final.pdf. Nadworny, E. & Marcus, J. (2018, December 12). 'Going to office hours is terrifying' and other tales of rural students in college [Sonja Ardoin quoted]. NPR. Retrieved from https://www.npr.org/2018/12/12/668530699/-going-to-office-hours-is-terrifying-and-other-hurdles-for-rural-students-in-col.
Marcus, J. (2018, December 12). Some colleges extend scholarships and other help to rural high school grads [Sonja Ardoin quoted]. The Hechinger Report. Retrieved from https://hechingerreport.org/some-colleges-extend-scholarships-and-other-help-to-rural-high-school-grads/. Monaghan, P. (2018, April 22). The lonely country road to college. [The Chronicle Bookshelf, with Sonja Ardoin]. The Chronicle of Higher Education. Retrieved from https://www.chronicle.com/article/The-Lonely-Country-Road-to/243183. Zamudio-Suaréz, F. (2016, December 11). I fit in neither place [The Chronicle Interview, with Sonja Ardoin]. The Chronicle of Higher Education. Retrieved from http://www.chronicle.com/article/I-Fit-in-Neither-Place-/238629. Ardoin, S. (2014). 7 ways to stay prepared in the job search process. ACPA Career Central. Retrieved from http://www.myacpa.org/article/7-ways-stay-prepared-job-search-process. Ardoin, S. (2014). Interviews in student affairs. Inside Higher Ed. Retrieved from https://www.insidehighered.com/advice/2014/05/23/essay-interviewing-student-affairs-jobs#sthash%2ERHG9aDRp%2Edpbs. Ardoin, S. (2014). Finding jobs in student affairs. Inside Higher Ed. Retrieved from https://www.insidehighered.com/advice/2014/05/21/essay-finding-best-jobs-apply-student-affairs#sthash%2E5fW8OAJZ%2Edpbs. Ardoin, S. & Dippold, L. (2013). Women as Students: Two Personal PhD Reflections and Suggested Practical Strategies. ACPA Developments, 11(1). Retrieved from http://developments.myacpa.org/women-as-students-two-personal-phd-reflections-and-suggested-practical-strategies/. Ardoin, S. & Dobiyanksi, V. (2011). We do what?! Challenging and supporting traditions through advising. In 2011 National Hazing Prevention Week Guide, Connect the Dots: Unite to Prevent Hazing (p. 23-26). Retrieved from http://hazingprevention.org/images/stories/upload/NHPW_ResourceGuide_lowres.pdf. Ardoin, S., Lane, K., & O’Connell, R. (2008). Millennials and the job search: Can different generations coexist? In ACPA Career Watch (p. 7). Retrieved from http://www.myacpa.org/sites/default/files/Post_Conference_Edition_2008.pdf. Ardoin, S. (2018, 11, 6). Scrutinizing language is a form of classism. [NASPA Socioeconomic & Class Issues in Higher Education Knowledge Community Blog Post]. Retrieved from https://www.naspa.org/constituent-groups/posts/scrutinizing-language-is-a-form-of-classism. Ardoin, S. (2018, 1, 30). Part II: What price(s) are you willing to pay: Cost considerations in the #SAPro search process. [NASPA New Professionals & Graduate Students Knowledge Community Blog Post]. Retrieved from https://www.naspa.org/constituent-groups/posts/part-ii-what-prices-are-you-willing-to-pay-cost-considerations-in-the-sapro. Ardoin, S. (2018, 1, 23). Part I: What price(s) are you willing to pay: Cost considerations in the #SAPro search process. [NASPA New Professionals & Graduate Students Knowledge Community Blog Post]. Retrieved from https://www.naspa.org/constituent-groups/posts/part-i-what-prices-are-you-willing-to-pay-cost-considerations-in-the-sapro. Ardoin, S. (2017, 11, 17). The photo project: Framing reflection from hands and feet. [NASPA Socioeconomic & Class Issues in Higher Education Knowledge Community Blog Post]. Retrieved from https://www.naspa.org/constituent-groups/posts/the-photo-project-framing-reflection-from-hands-and-feet. Ardoin, S. (2017, 8, 11). What you need to know about the reality of social class on campus. [Presence Blog Post]. Retrieved from http://www.presence.io/blog/what-you-need-to-know-about-the-reality-of-social-class-on-campus/. Ardoin, S. (2017, 4, 4). The job search and reflection: Knowing what you need and want. [NASPA New Professionals & Graduate Students Knowledge Community Blog Post]. Retrieved from https://www.naspa.org/constituent-groups/posts/the-job-search-reflection-know-what-you-need-and-want. Ardoin, S. (2017, 1, 23). What’s your #classidentity story? [NASPA Region I Tumbler]. Retrieved from http://nasparegion1.tumblr.com/post/156288374452/whats-your-classidentity-story. Ardoin, S. (2017, 1, 5). The social class privilege of travel. [NASPA Socioeconomic & Class Issues in Higher Education Knowledge Community Blog Post]. Retrieved from https://www.naspa.org/constituent-groups/posts/the-social-class-privilege-of-travel. Ardoin, S. (2016, 10, 02). How cleaning out closets checked my class privilege. [NASPA Socioeconomic & Class Issues in Higher Education Knowledge Community Blog Post]. Retrieved from https://www.naspa.org/constituent-groups/posts/how-cleaning-out-closets-checked-my-class-privilege. Ardoin, S. (2016, 5, 02). Transition tips from a tiny town to a “two & out”-er. [NASPA New Professionals & Graduate Students Knowledge Community Blog Post]. Retrieved from https://www.naspa.org/constituent-groups/posts/transition-tips-from-a-tiny-town-to-a-two-out-er. Ardoin, S. (2016, 1, 06). Ca c’est bon! Good food and conversation: Creating a successful interview meal. [Student Affairs Collective Blog Post]. Retrieved from studentaffairscollective.org/ca-cest-bon-good-food-conversation-creating-successful-interview-meal-sarecruits/.